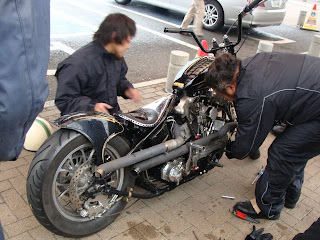 Partial shot of a sweet Knucklehead from Japan. Man, I wish they hadn't broken down! Outta the way! I can't see the bike!